Protein Bar (3 locations)– With three outpost across town and two downtown locations you’re never too far from a quinoa oatmeal, bar-otto, bowl or chili. Opt for a lighter star with a fresh pressed juice or blended drink. Find your closest location here. 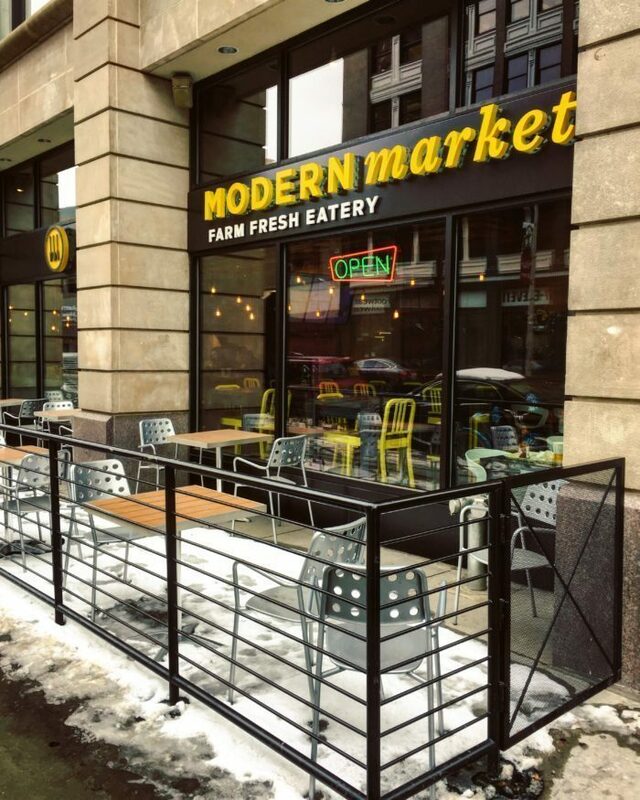 Mod Market (locations all over the city)– The creators behind this fast casual eatery get it — Serve clean, yummy food at a reasonable price point and everyone is happy! Which is why you shouldn’t be surprised to see any of their several locations around town buzzing at any hour of the day. 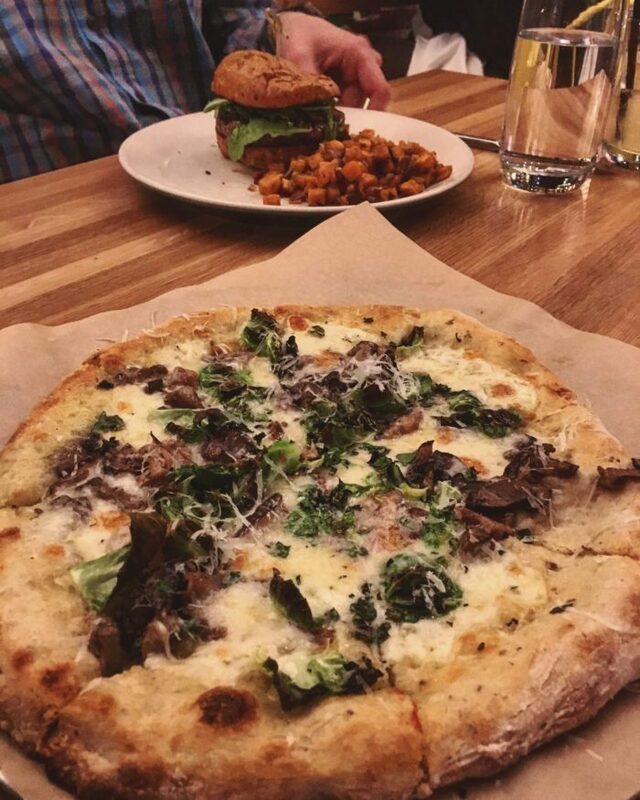 Mod Market lets you create your own meal by picking a protein and two sides or you can choose from a wide variety great salads, sandwiches and pizzas. The Wintergreen salad is my go to. Plus there are two locations in Denver International Airport so you can continue your health kick even with a delayed flight. Menu here. bubu (Larimer Square, 1423 Larimer St, Denver, CO 80202)– This Larimer square hot spot is literally exploding during lunch with a quick-moving line usually flowin out the door and up the stairs. But what can you expect from the Tory Guaur’s Tag Restaurant Group. Bubu serves up Asian-inspired bowls filled with fresh veggies and proteins. Choose your base from brown rice, sala or rice noodles and join what they call the “Fresh Revolution.” My favorite is the Southern California and Thai bowl. Needing an afternoon pick me up? 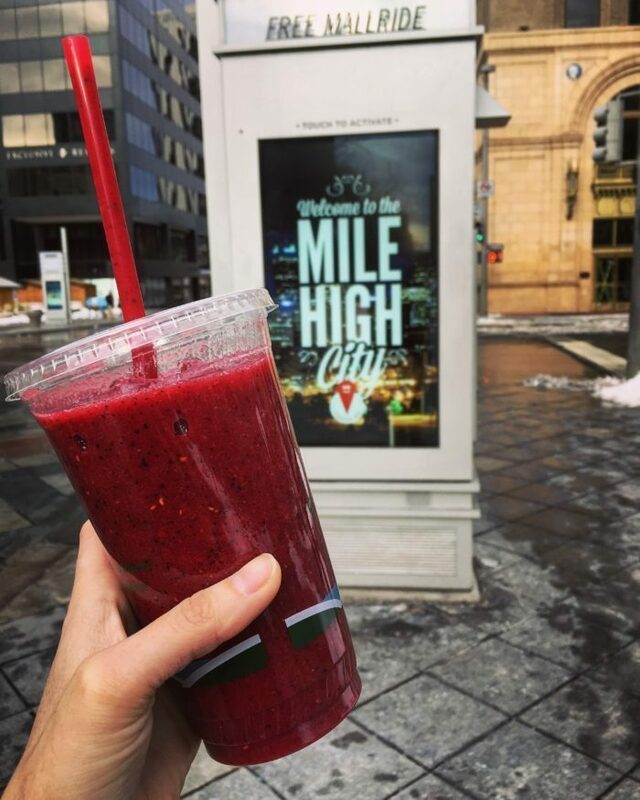 Try out one of the many juice bars sprinkled across Denver! 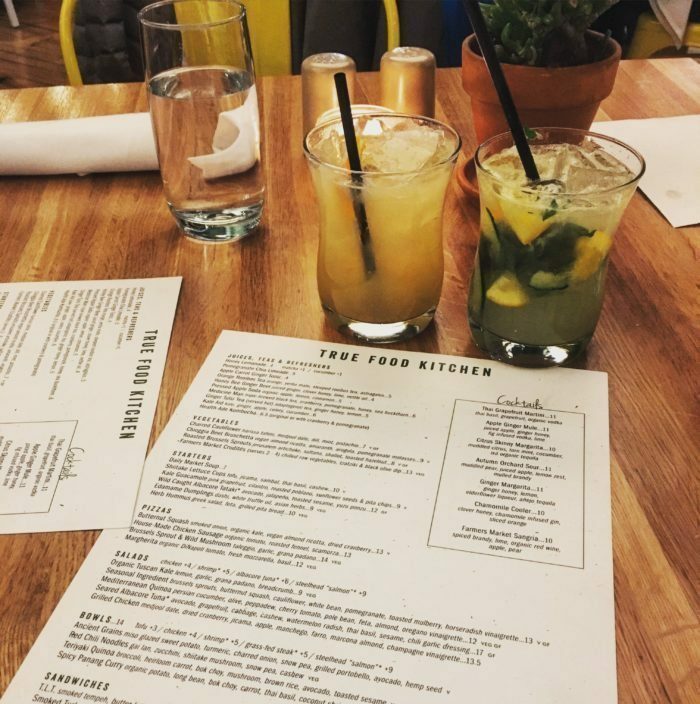 True Food Kitchen (2800 E 2nd Ave #101, Denver, CO 80206) – This Cherry Creek staple prides itself on following the anti-inflammatory food pyramid. 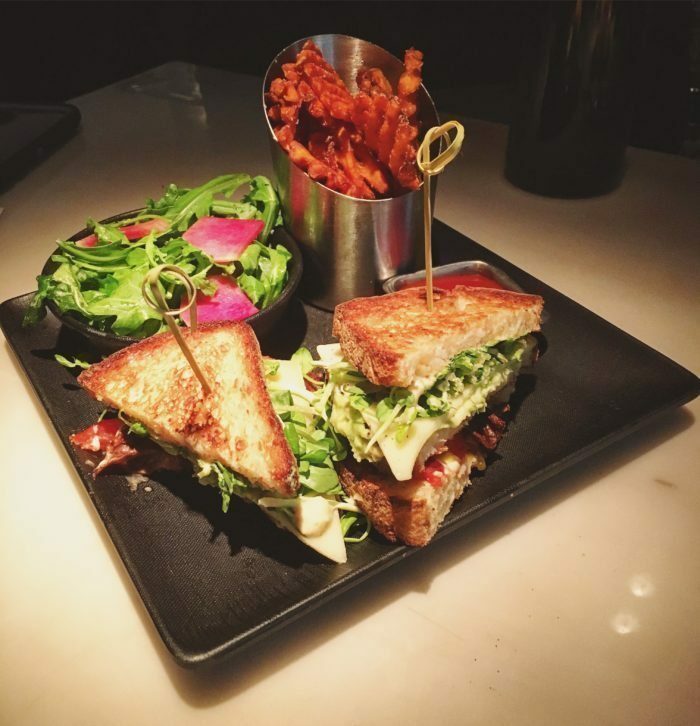 With a menu that focuses on what is actually in season, you can guarantee that you are getting the freshest ingredients possible. You might not think such a healthy place could have killer cocktails, but all of their juices are fresh squeezed and insanely good. Their citrus skinny margarita and ginger margarita are two of my favorite margaritas in the city. While on our last trip to True Food we indulged in their amazing grass-fed burger that literally needs no condiments it’s so good. 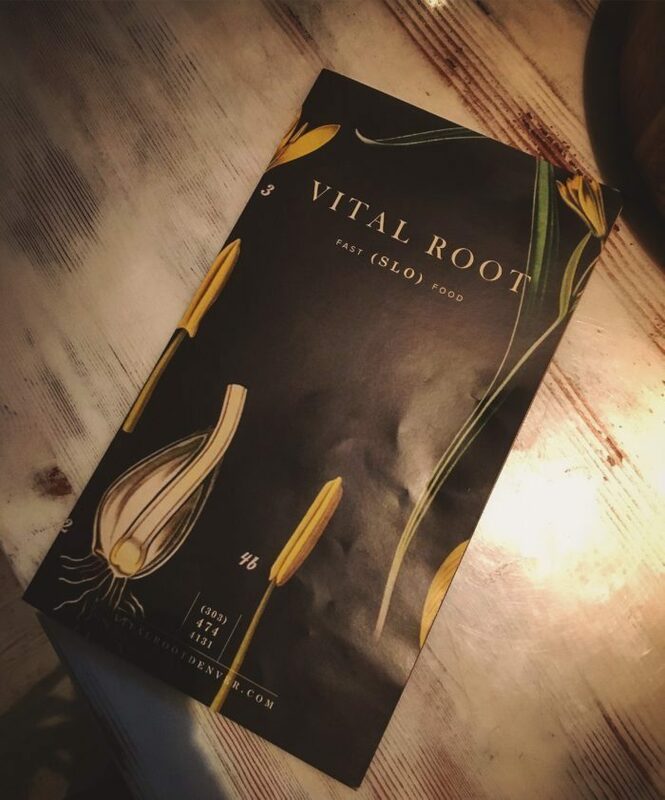 Vital Root (3915 Tennyson St, Denver, CO 80212) – From the genius behind Denver staple Linger, Root Down and Ophelia’s is the fast but slow food outpost on Tennyson in Highlands. This veggie focused eatery delivers healthy “fast” casual food in a stunning setting with a reasonable price point that everyone can love. Everything is made with organic oils, unrefined sugar’s and organic flowers and it’s insanely delicious. You seriously can’t go wrong with anything on the men I am partial to the Pad Thai, Miso Ramen and Club Sandwich. See the full menu here. Take your cheat day on some of Denver’s best sweets. Portland’s famous Donuts, Voodoo Donuts (1520 E Colfax Ave, Denver, CO 80218), has an outpost that will be sure to satiate any sweet tooth. Santa Fe Cookie (303 16th St # 12A, Denver, CO 80202) is a hidden cookie shop on the 16th St. Mall is a great midday pick me up. Down the staircase on Republic Plaza, just $2 will get you three fresh baked cookies. This cash only joint operates on the honor system – drop your $2 in the case; take your cookies and go. 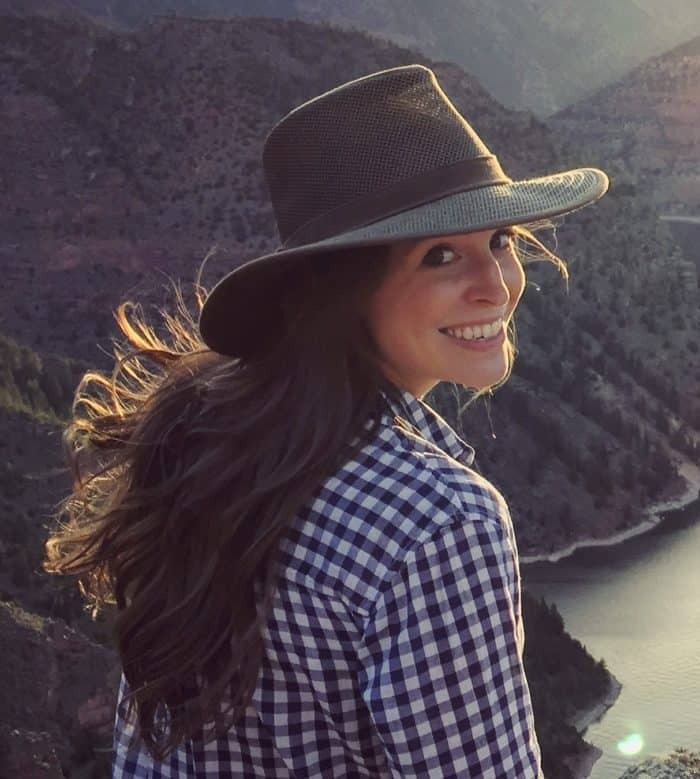 Ok I definitely am drooling this morning reading about all these places! !